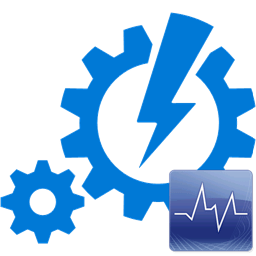 Since I have already covered how to create, update and delete OpsMgr groups using the OpsMgrExtended module, the last thing I want to cover on this topic is how to configure health rollup for the groups. By creating an agent task to create health rollup dependency monitors (in the OpsMgr Group Health Rollup Configuration Task MP), I have provided a more user friendly way for OpsMgr users to configure health rollup for groups, but this task won’t help us when we are designing an automation solution. Therefore, I have written a SMA runbook based on the script I developed for the MP. Write-Verbose "Getting the group class '$USING:GroupName'." Write-Verbose "Group Display Name: '$GroupDisplayName'"
Write-Verbose "Check if the group '$USING:GroupName' is an instance group." Write-Warning "Computer groups already have dependency monitors created out of the box. These monitors may be redundent. Please check after the task is completed." Write-Error "$USING:GroupName is not a group." Write-verbose "The group '$USING:GroupName' is defined in a sealed MP. Getting the desintation MP '$USING:ManagementPackName'." Write-Error "Unable to continue because the `$ManagementPack parameter is not specified and the group is defined in a sealed management pack. Please specify an unsealed MP to store the dependency monitors." Write-Error "Unable to find the management pack '$USING:ManagementPackName' in the management group. Unable to continue." Write-Error "The specified management pack '$USING:ManagementPackName' is a sealed MP. 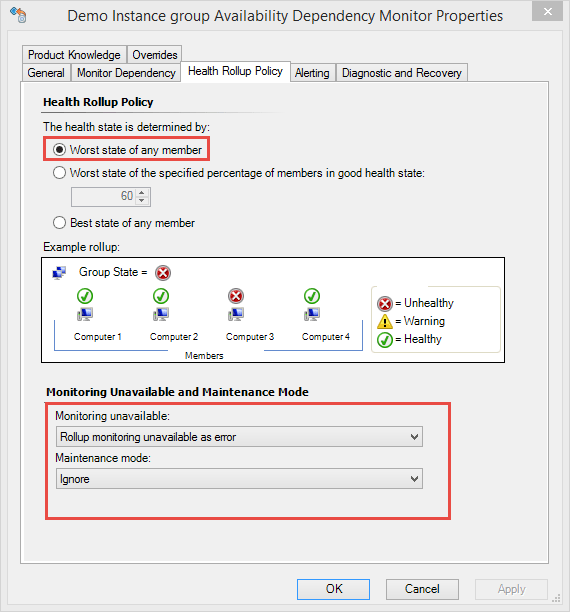 Unable to save dependency monitors to a sealed MP. Please specify an unsealed MP." Write-Verbose "The group '$USING:GroupName' is defined in an unsealed MP '$GroupMPName'. the dependency monitors will be stored in the same MP." Write-Verbose "The dependency monitors will be created in management pack '$DestinationMPName'." Write-Verbose "Determining depdency monitor names." 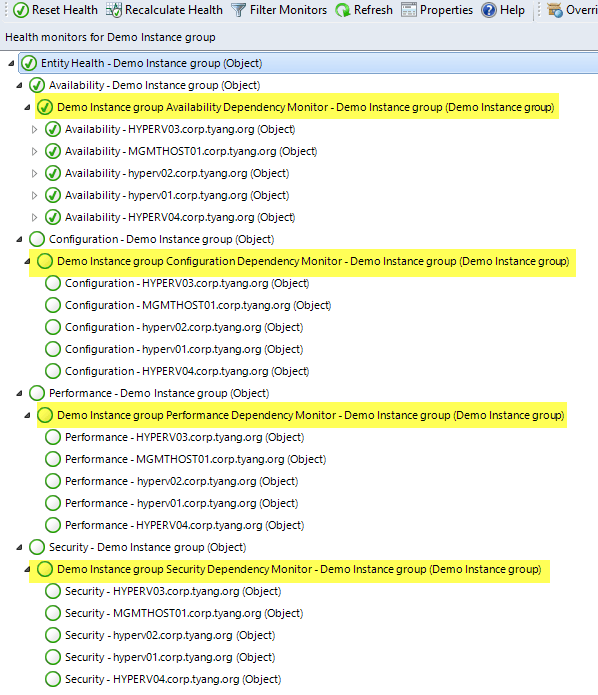 Write-Verbose "Creating Availability Dependency monitor '$AvailabilityDependencyMonitorName'." $AvailabilityDependencyMonitor.DisplayName = "$GroupDisplayName Availability Dependency Monitor"
Write-Verbose "Creating Configuration Dependency monitor '$ConfigurationDependencyMonitorName'." $ConfigurationDependencyMonitor.DisplayName = "$GroupDisplayName Configuration Dependency Monitor"
Write-Verbose "Creating Performance Dependency monitor '$PerformanceDependencyMonitorName'." $PerformanceDependencyMonitor.DisplayName = "$GroupDisplayName Performance Dependency Monitor"
Write-Verbose "Creating Security Dependency monitor '$SecurityDependencyMonitorName'." $SecurityDependencyMonitor.DisplayName = "$GroupDisplayName Security Dependency Monitor"
Write-Verbose "Group dependency monitors created in Management Pack '$DestinationMPName'($($DestinationMP.Version))." 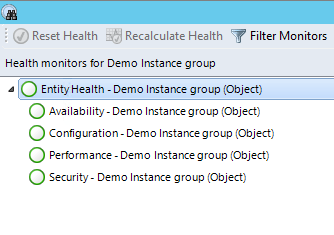 Write-Error "Unable to dependency monitors for group '$USING:GroupName' in management pack $DestinationMPName." 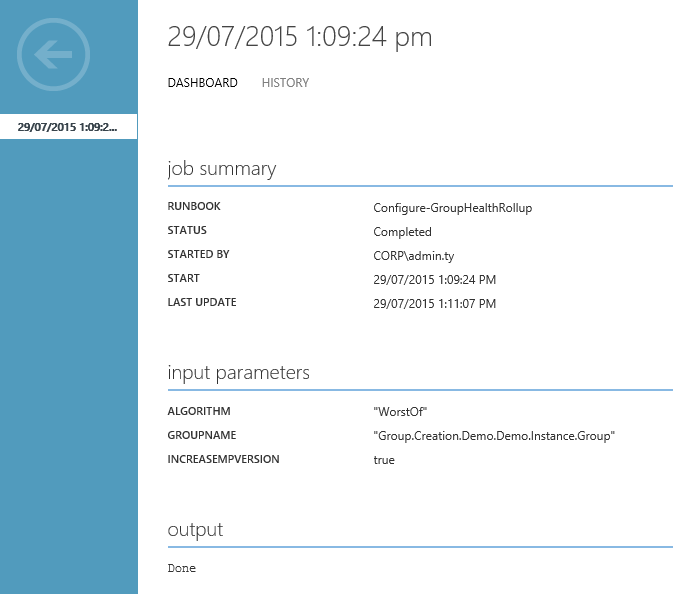 Write-Error "Unable to configure health rollup for group '$GroupName'." Algorithm: Required parameter. The algorithm to use for determining health state. Possible values: ‘BestOf’,’WorstOf’,’Percentage’. Percentage: The worst state of the specified percentage of members in good health state. This parameter is only required when the specified algorithm is ‘Percentage’. Optional parameter, default value is 60 if not specified. MemberUnavailable: The health state when the member is unavailable. Possible Values: ‘Uninitialized’, ‘Success ‘,’Warning’, ‘Error’. Optional parameter. If not specified, the default value is “Error”. MemberInMaintenance: The health state when the member is in maintenance mode. Possible Values: ‘Uninitialized’, ‘Success ‘, ‘Warning’, ‘Error’. Optional Parameter. If not specified, members in maintenance mode will be ignored. IncreaseMPVersion: Boolean optional parameter. Specify if the management pack version should be increased by 0.0.0.1. Starting from next post, I will start talking about how to create monitors, rules, etc. So it should only get more interesting from now on. This is all I’m going to share for today. Until next post, happy automating OpsMgr!